Doing Business in Sicily. Imports, exports,air transport and Catania airport. Sicily has a rich and untapped market for imports and exports and offers great opportunities to investors and those interested in setting up trade relations in Italy. If you are planning on building business relations with Sicily in terms of imports and exports, it is essential that you first understand the region’s policies on trade with foreign countries. 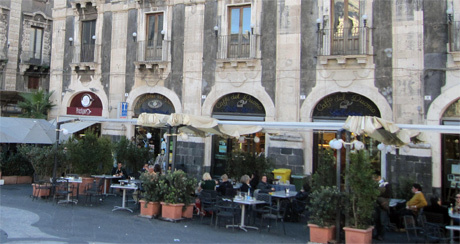 Sicily does not have complex customs regulations and even its licensing and documentation requirements are reasonable. Sicily is a high potential market and many people are unaware of this fact and hence fail to take advantage of the business opportunities here. You can transport goods to Sicily from almost anywhere in the world, although you will have to use intermodal freight to get to your destination, as the region does not have an extensive international transport system. Since Sicily is an island, one of the best ways to get goods to this region is via ship and you will be able to send your goods the region’s many cargo ports like Messina, Palermo and Catania. Sicily has several other ports that you can use if you are shipping cargo from Italy such as Termini Imerese, Trapani and Pozzallo. If you want to use air transport, you may have to send the goods to Italy before getting it to your destination, in case you are not able to secure a direct flight to either Catania airport or Palermo airport. For this reason, it may be necessary to establish trade relationship with an Italian freight company or a freight agent who has an office in both Italy and Sicily. If you are already engaged in importing or exporting goods to Italy, you will find it extremely easy to extend your dealings to Sicily, as the region has many freight agencies with services to the island.